The odometer of years ticks by and it's time to say goodbye to 2016. As always, I've taken a fair number of photographs. Here is a look at a few of the ones that I feel are my very best of the year. From a snowy road photographed on my way home from work last January, to the beautiful blossoms of spring, summer and fall, views of both the Atlantic and Pacific Oceans, and one of my two exquisite granddaughters that I have been so blessed with this year, these are the photos that I felt went a little bit beyond being just a photo. It's always so hard to choose which ones to include in this group! One of my goals for 2016 was to spend more time painting. 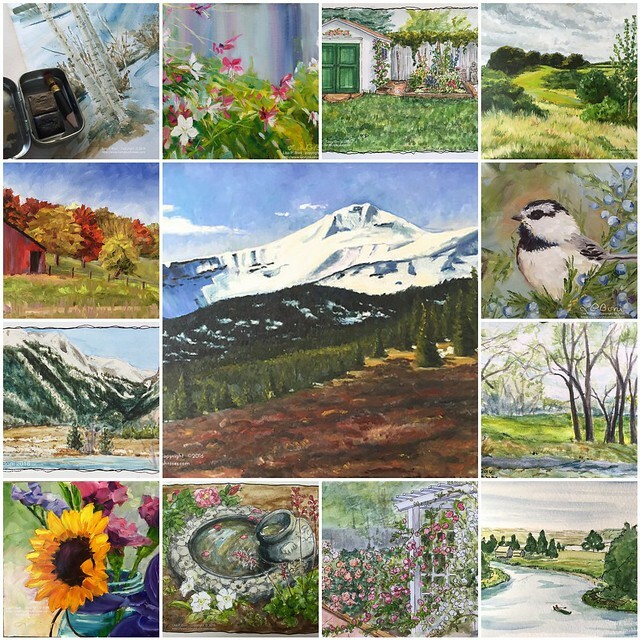 While I wasn't able to paint quite as much as I had hoped, I did manage to do quite a number of oil paintings and watercolor sketches! Hope to continue into the year ahead! There was time for stitching too. I finished up the blocks for CQJP 2015 and mostly finished the quilt (just a bit more quilting to do on it before binding it). I was able to finish Mollie Feathers; stitched a cover for the special Holiday issue of Crazy Quilt Quarterly (and a second piece that was my first attempt). I made a couple of pincushions, crocheted enough coasters for the living room, stitched a mug rug for my stitching table and did some Altoid tin samples. I also spent much of the year working on my lecture and power point for two of the quilt guild presentations I did, created a stitching sampler with instructions for my classes, wrote a Mini-Stitch book, created a pattern and instructions for Altoid Tin kits, which I sold at one of the workshops. Just putting the kits together was a huge time commitment and not something I will likely do again! Needless to say, there wasn't a lot of time left over for stitching! Once all the workshops were over and I got settled in my new job a bit more, I had time to stitch at last and had fun with some little Daily Stitching pieces, each about 3"x4". 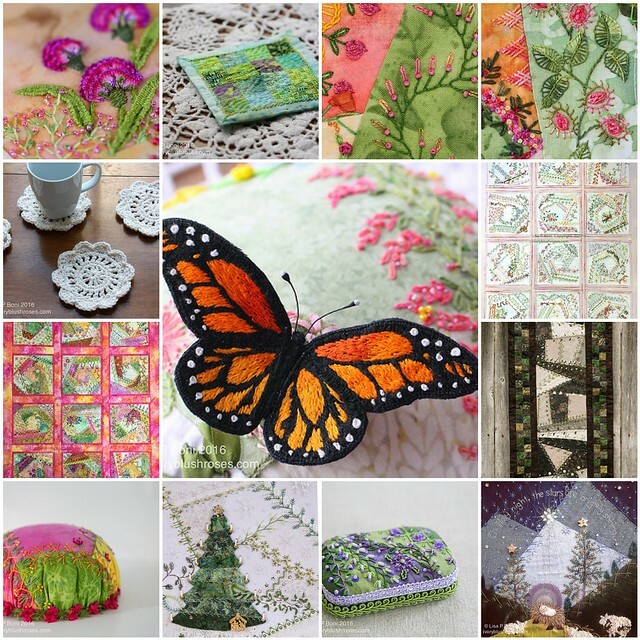 Just little vignettes to get myself stitching and try something different for a change. Hope to do much more with this in the future, though it may morph and change throughout the year. The garden was AMAZING! this year! Photos simply can not do it justice. 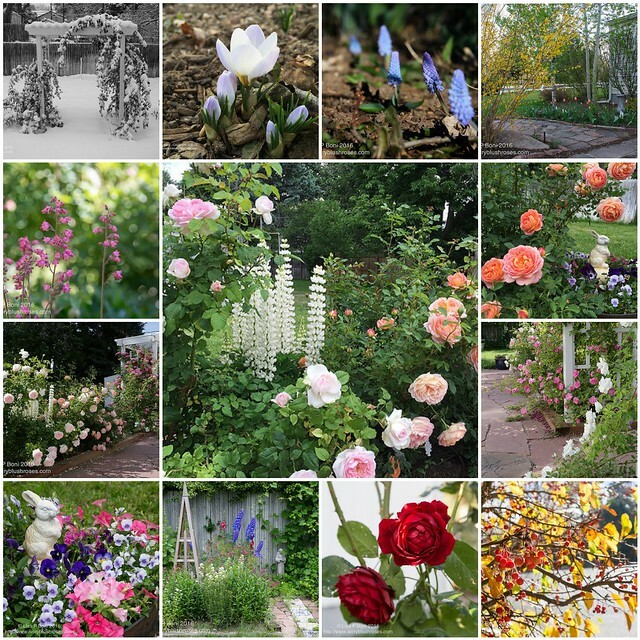 The roses in June... oh my! Truthfully, this yard is so much larger than I can really handle on my own, but having roses blooming like this makes it all worth while! I was thinking it was going to be a light travel year, but I ended up being able to make three wonderful trips! In the spring, my sister joined me for a road trip to South Dakota to see my Dad's side of the family and to visit the old home places. Then in September I had a wonderful week on Cape Cod with a dear friend, quickly followed by a road trip to Kansas City for the CQI Retreat and the chance to meet up with yet another dear friend! October brought my last trip of the year to California where I taught a workshop for the Santa Clara Valley Quilter's group and the opportunity to spend time with a close friend from high school, whom I hadn't seen in many years. I love that each trip involved the chance to spend time with people who have been important in my life in addition the opportunities to see new places and revisit others. Memories of these trips provide such inspiration and food for the soul. They really keep me going, whether in the fun of planning, or in the actual taking of the trip, and then reliving the memories as I share the photos and stories here on my blog! As I look back over the past year, I realize how little I've blogged this year, especially since my job change this fall. I hope to do better in the coming year! FaceBook and Instagram provide the instant gratification of "likes" and comments, but it doesn't provide the deeper dialogue that a blog can, and that is something that I've been missing. 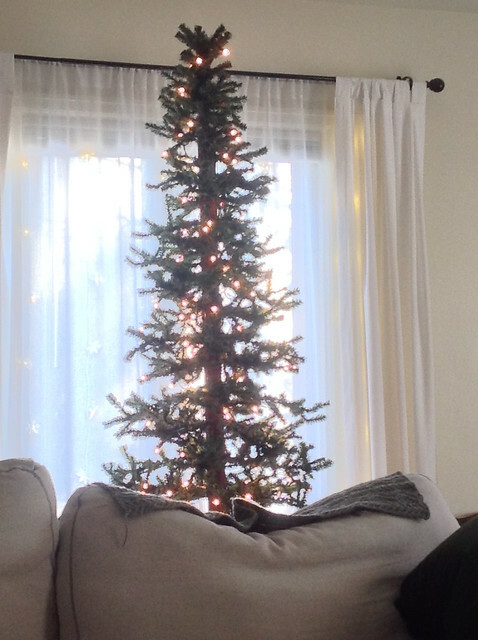 Before I finish this post, I thought I'd take just a brief look at my holiday decorating. Since I knew I would be working through Christmas and not seeing any of the family, I kept things very simple. 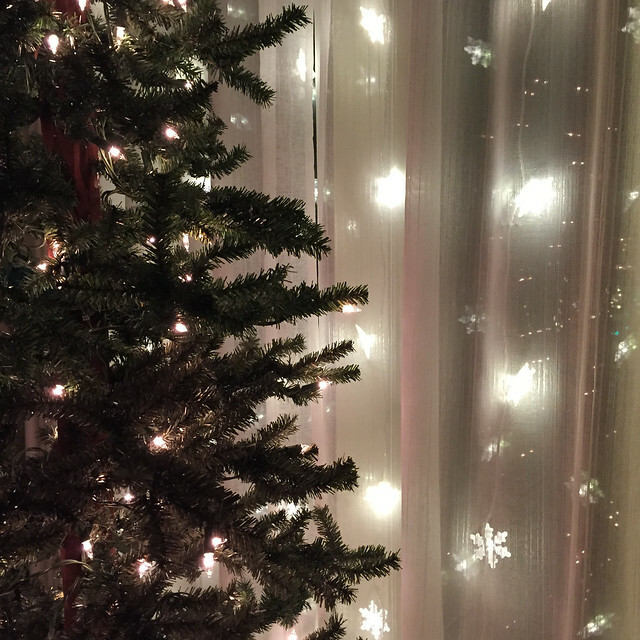 I put up the snowflake lights in the windows, decorated the tree with lights only ~ not a single ornament! 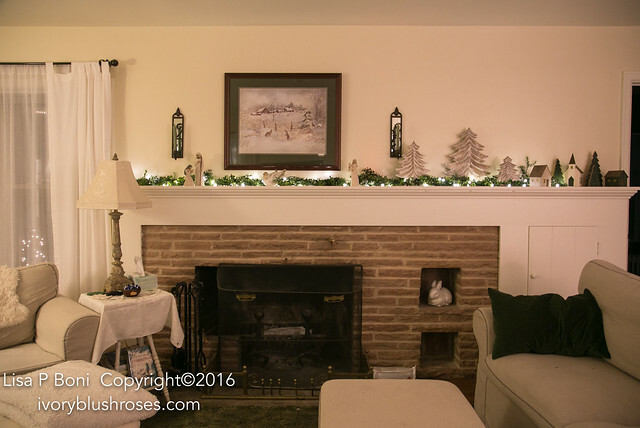 The mantle wears the lit green garland most of the year, so I just changed out a few of the decorations for Christmas ones. A Willow Tree nativity, a white wood dove, some whitewashed trees and a little village of wooden houses that I made several years ago. 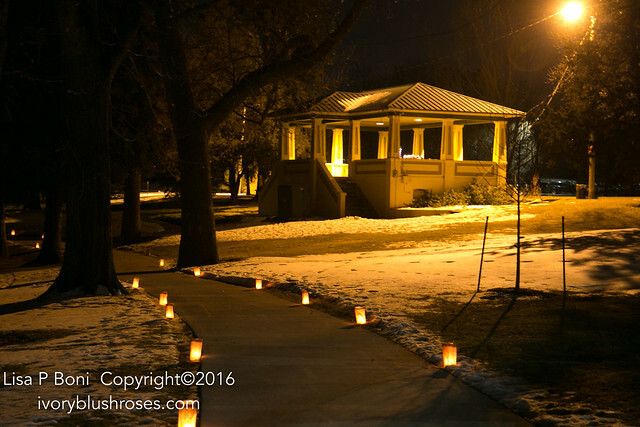 Outside, there are some new snowflake lights along the path to the side patio. 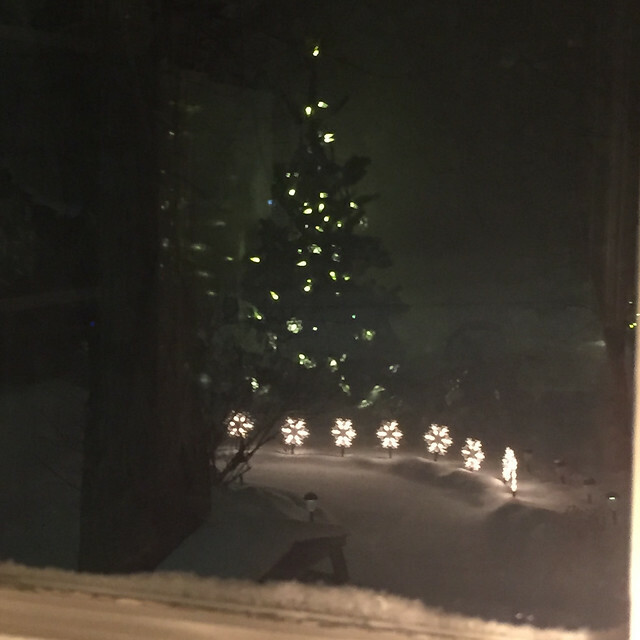 It looked so lovely in the snow with the kitchen tree's lights reflected in the window! I may have to plant a small fir tree there just to have lights on it! Since I didn't have help this year to put lights on the house, I put simple green lights on the fence, which I was able to do without a ladder! 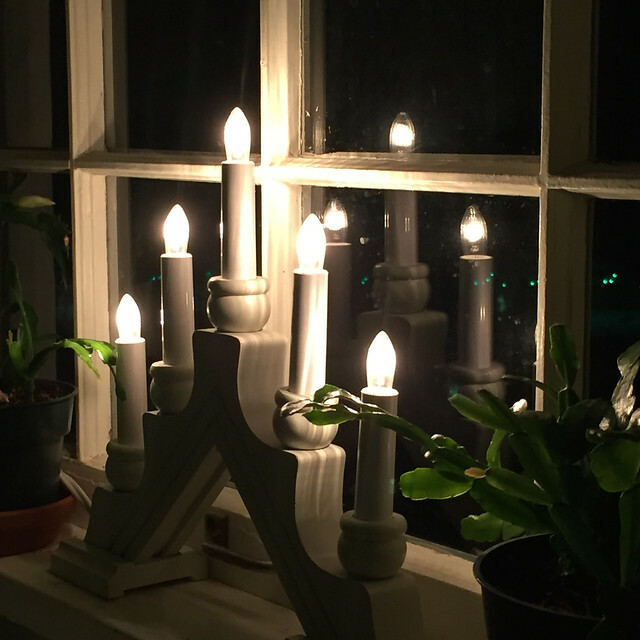 The kitchen windows each have a lovely scandinavian candelabra in them. 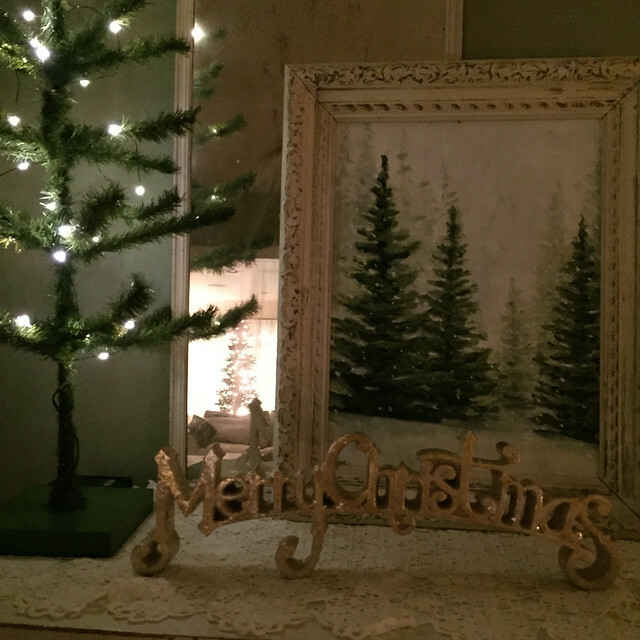 In the dining room, I put out my small faux feather tree with just little wire lights on it this year and my trees in the snow painting. 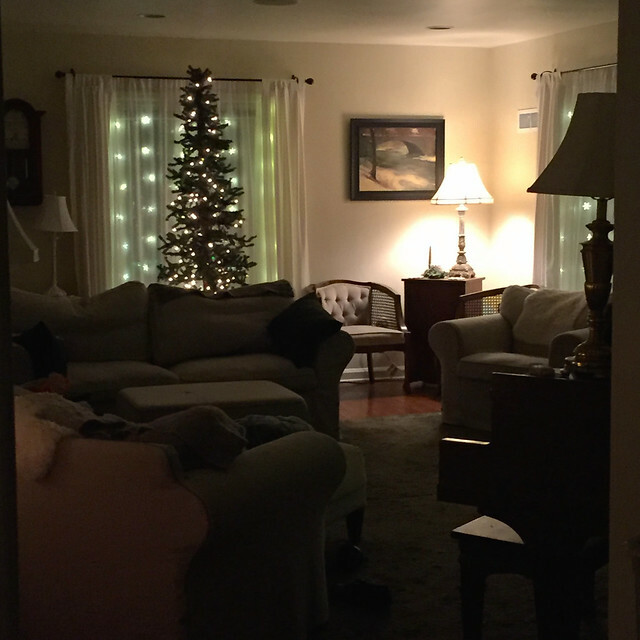 I love how the living room tree is reflected in the mirror here! The living room tree with the window lights on Christmas Eve before I left for work. I've spent nearly every evening that I haven't been working sitting in the living room simply enjoying the lights and the peace. 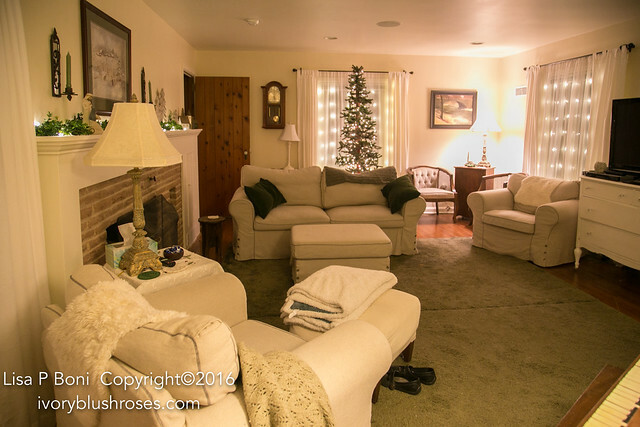 It has been more "Christmasy" than when everything is loaded down with decorations. It has made me remember that Jesus came as a light to the world. He brought peace to those who believe in him. Even when struggling with a difficult year, underneath, there has been peace. I couldn't resist the little "elf" tree and since I was missing having a real tree, brought this home and found it a spot in the kitchen. 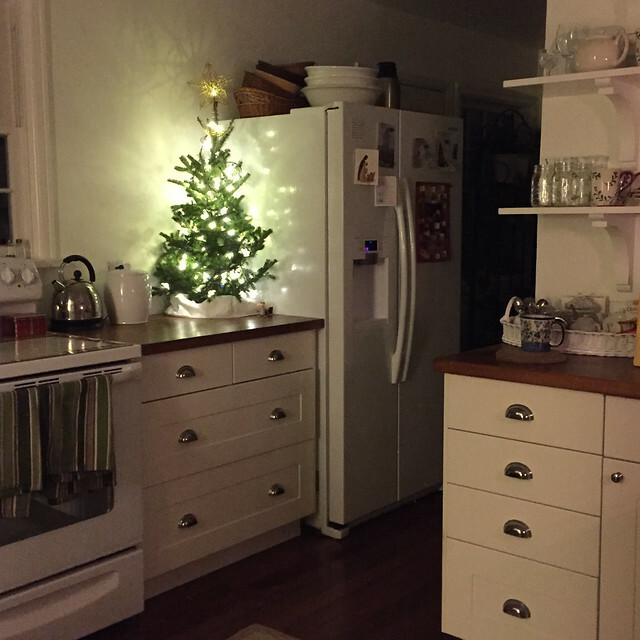 It's amazing how much you can do in the kitchen just by the lights of the tree and the window candelabras! Due to my work schedule, I wasn't able to make my beloved Christmas Eve services this year. Instead I took a walk through the park near my home. 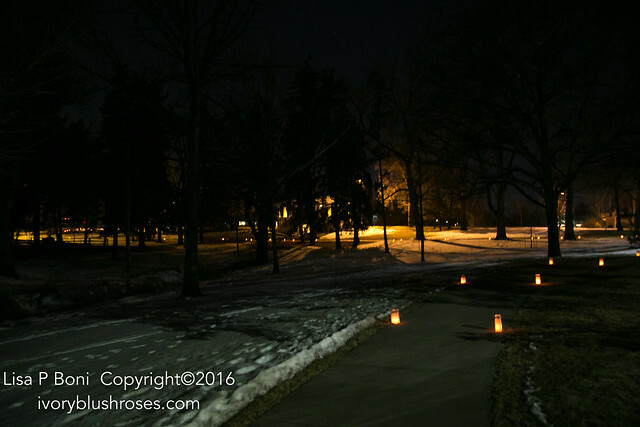 Each Christmas, a group of neighborhood residents takes the time to line the paths with luminarias. It was a magical walk. 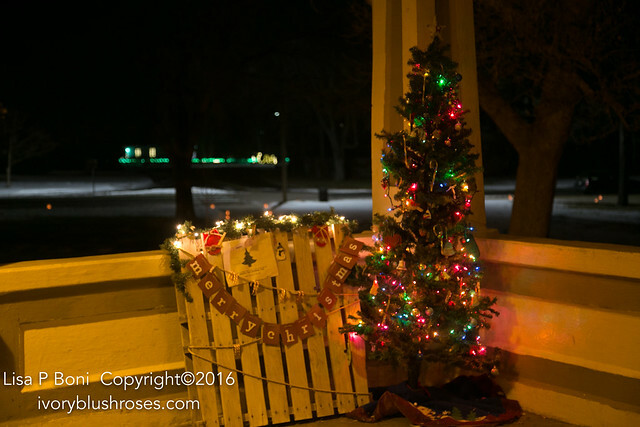 In the park shelter, there was a lit tree and this view looks down the street to the Christmas lights of my home in the distance. The park shelter sits next to a now mostly frozen pond. All through the year it is a favored site for weddings, quinceanares (a celebration on a girl's 15th birthday to acknowledge that she is now a woman), yearbook photos, yoga classes, etc. Walking through the park on this lovely Christmas Eve made for a lovely peaceful walk before starting what turned out to be a very hectic and busy night at work! In the mornings, when I sit in my chair and turn the tree lights on, it looks like bits of dappled early morning sunlight peeking through the branches. Peaceful by night, peaceful by day. Goodbye 2016, Hello 2017! I'm looking forward to meeting and getting to know you! Dear Lisa ~ What a wonderful post!! 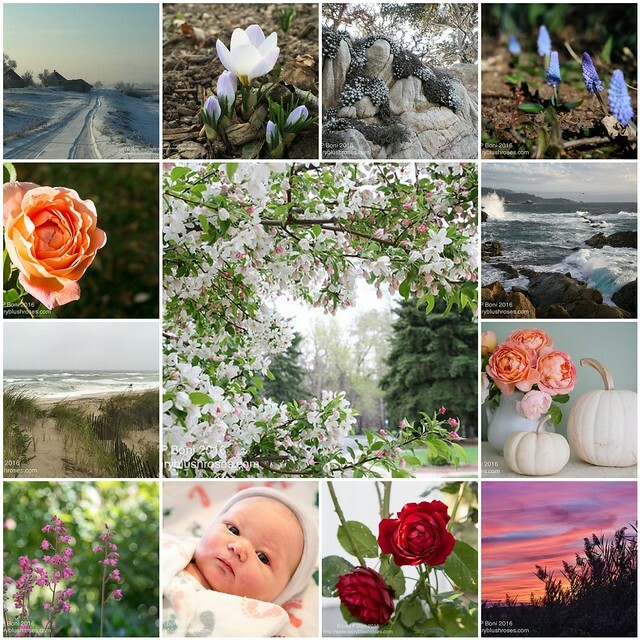 Thank you for sharing your year in so many photos in different areas of your life. Just beautiful and oh so inspiring. Wonderful pictures! 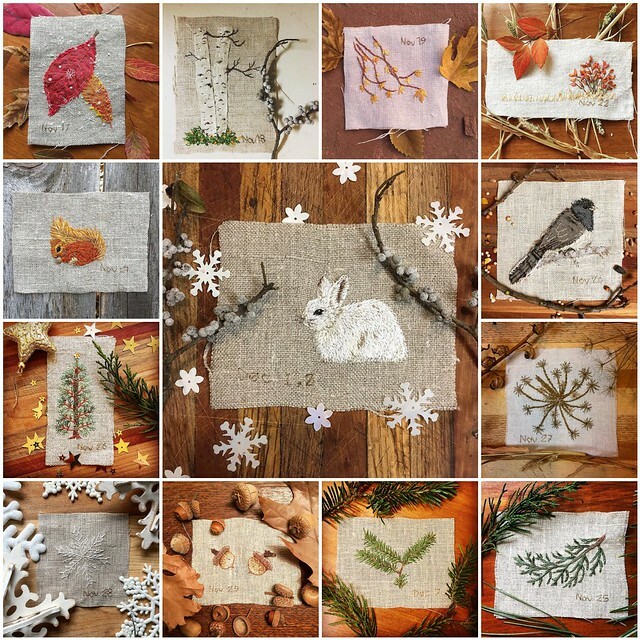 Your painting and stitching is so inspiring. Happy New Year! 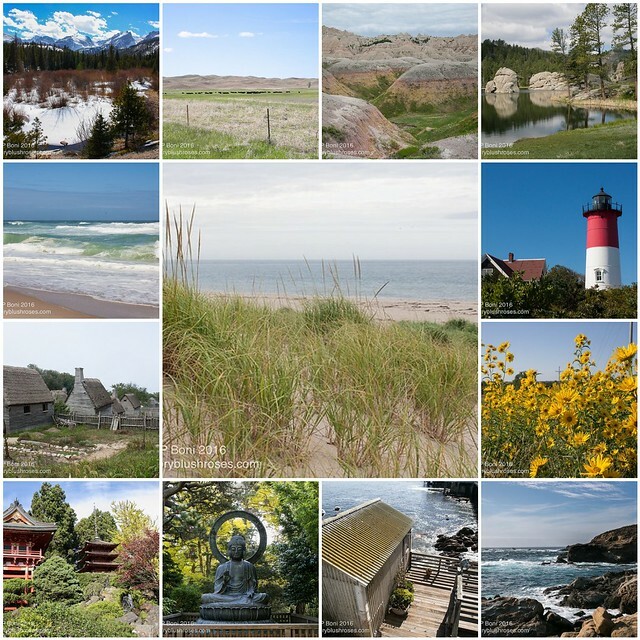 Enjoyed the look back at your photos Lisa - thank you! And to see your beautiful home all decorated with the pretty lights - lovely! All the very best wishes to you and your family for a happy, healthy and love-filled 2017! Beautiful post--so serene and calming . . .
Love your pictures and your beautiful decorated home. Love the lights and the park. Your stitching is gorgeous. Happy New Year. Lovely post. Lovely Christmas. Your white and light living room is so peaceful it must be the perfect place to relax after stressful days. We were so glad you visited our guild in October and hope you get out this way again soon. What a lovely post. From your photos to your paintings to your little stitch pieces, this was a delight to the eye. May the year ahead bring you happiness, good health, and time for your many creative endeavors. Sure seems to me like you accomplished so very much in this past year! I am a generally new follower and your talents and all their many expressions are so joyful and uplifting. I just love seeing your new work and looking over past and am so glad you choose to share the way your do! Happiest of New Year's to you.